Tamil Nadu Marina Beach is located in the heart of Chennai city. It is considered as the “Pride of India”. It is said to be the longest beach in India and also the second longest beach in the world. 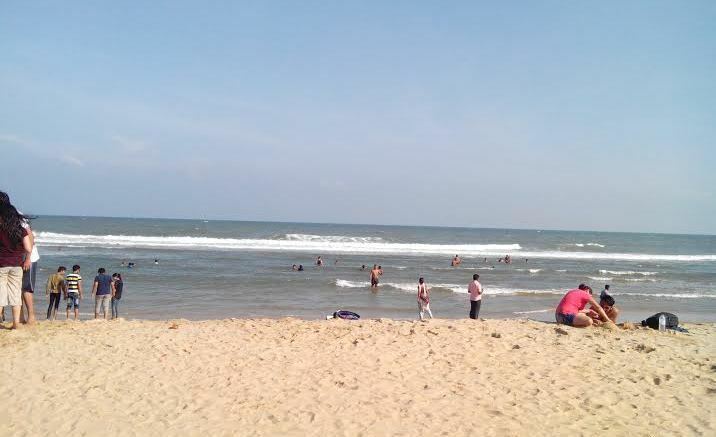 It is a fine sandy beach lying in the East of Chennai, extending from Fort St. George till Mahabalipuram. This sandy beach is lined with majestic buildings built in Indo-Saracenic architecture. Some of the most beautiful buildings like the Fort St. George complex established by the East India Company in 1641, University of Madras, Senate House, Chepauk Palace and Presidency College can be seen here. The Memorials of Anna Durai, the founder of D.M.K party and a former Chief Minister of Tamil Nadu, and M. G. Ramachandran, a former matinee idol turned the charismatic Chief Minister of the State are also located here. You can see food stalls, hawkers and other entertainers in the beach. If you can be there on a Sunday afternoon the market is worth visiting. Viewing the Sun rising and Sun setting are delighting experience in Marina Beach. An attractive Aquarium Ice House, is there which has some of the most exotic collections of tropical sea fishes and fresh water fishes. There is also an Ice House, located in the south to the Aquarium. If you are interested to have a closer look of the aquatic life this aquarium is the best place. It is now known as Vivekananda House. You can enjoy a fantastic joyride along vast stretches of sand lashed by the Bay of Bengal. Bathing and swimming can be dangerous because of the strong under current. The kids can have the fun with kite flying in the long sandy beach. Pony rides are another attraction for the kids. The large beach is often the venue for important state functions. The beach can be ideally visited in the early mornings or in the late evenings when the area vibrates with activity. You can start an evening stroll from the Light House or climb atop the light house for a bird's eye view of Chennai.